This ICU Cage is a controlled oxygen therapy unit that also doubles as an anesthesia chamber. Allow for provision of heat or cooling of animals. Clear vinyl window covers make it easy to observe. Accessories include 6 color-coded venture oxygen delivery nozzles, small nebulizer, connecting T-piece and 7 ft oxygen tubing. 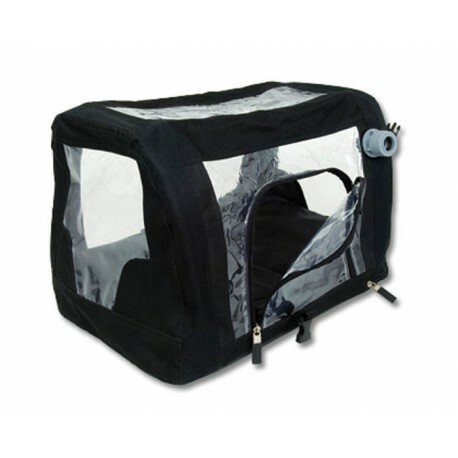 Small- 18"W x 13"D x 13"H.
This ICU Cage is a controlled oxygen therapy unit that also doubles as an anesthesia chamber. Allow for provision of heat or cooling of animals. Clear vinyl window covers make it easy to observe. Largel- 44" × 26" × 26". These are being discontinued, only 1 left. The Pet Lodge Large Portable Dog Crate is perfect for crating or transporting dogs up to 70 pounds. Patented design is easy to handle for home and travel, and meets International Air Transport Association (IATA) requirements. Large wire doors on two sides, a wire window, and a vented back provide plenty of air circulation. The Pet Lodge Medium Portable Dog Crate is perfect for crating or transporting dogs up to 50 pounds. Patented design is easy to handle for home and travel, and meets International Air Transport Association (IATA) requirements. Large wire doors on two sides, a wire window, and a vented back provide plenty of air circulation. The Pet Lodge Small Portable Dog Crate is perfect for crating or transporting dogs up to 30 pounds. Patented design is easy to handle for home and travel, and meets International Air Transport Association (IATA) requirements. Large wire doors on two sides, a wire window, and a vented back provide plenty of air circulation. 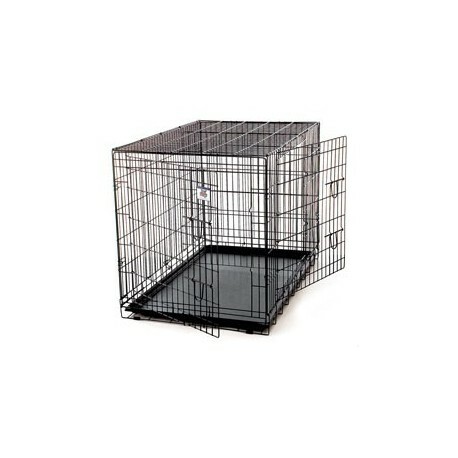 The Pet Lodge Extra-Large Wire Dog Crate fits dogs up to 100 pounds. This multifunctional crate easily adapts for home, travel, and training purposes. Removable divider panel lets you create a smaller space for your puppy (this helps with house training), then allows the crate to expand as your pet grows to adult size. 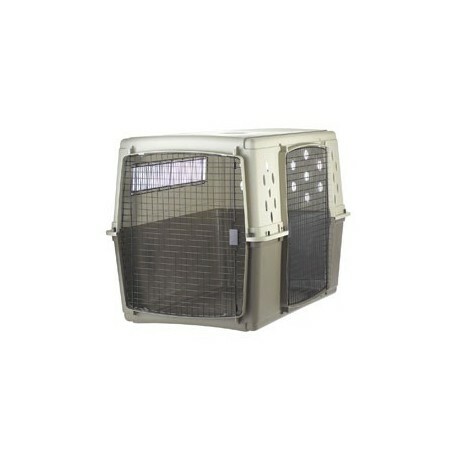 The Pet Lodge Large Wire Dog Crate fits dogs up to 70 pounds. This multifunctional crate easily adapts for home, travel, and training purposes. Removable divider panel lets you create a smaller space for your puppy (this helps with house training), then allows the crate to expand as your pet grows to adult size. 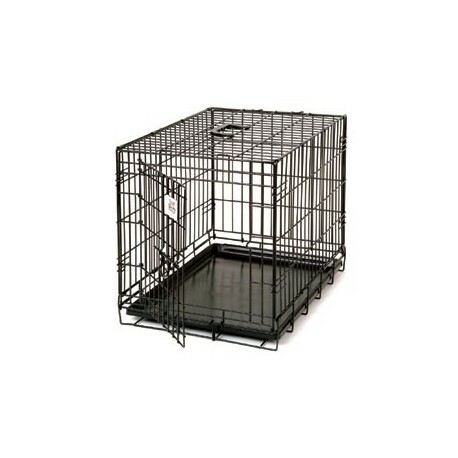 The Pet Lodge Giant Wire Dog Crate fits dogs up to 130 pounds. This multifunctional crate easily adapts for home, travel, and training purposes. Removable divider panel lets you create a smaller space for your puppy (this helps with house training), then allows the crate to expand as your pet grows to adult size. A kennel mattress designed to fit the small Buster ICU Cage. Provides patient with soft comfort. Withstands most disinfectants. Includes a gel pack that can provide heat (microwave) or cool (refrigerator). Gel packs are non-toxic if accidentally consumed. 24"x18"x3". Special order item, please allow 10 to 14 days ship time. 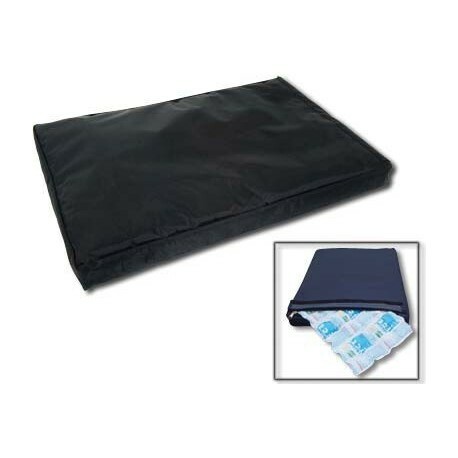 A kennel mattress designed to fit the small Buster ICU Cage. Provides patient with soft comfort. Withstands most disinfectants. Includes a gel pack that can provide heat (microwave) or cool (refrigerator). Gel packs are non-toxic if accidentally consumed. 18"x12"x3". Special order item, please allow 10 to 14 days ship time.